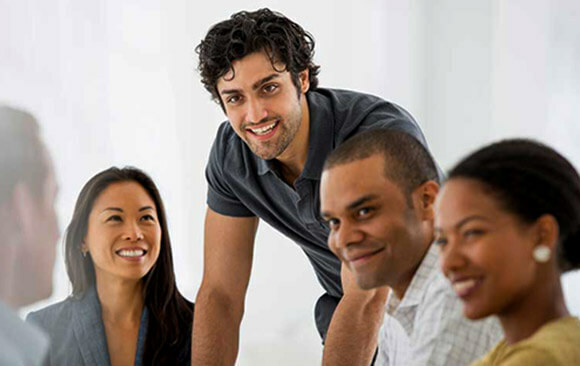 We Deliver Good Times Careers that bring people together. 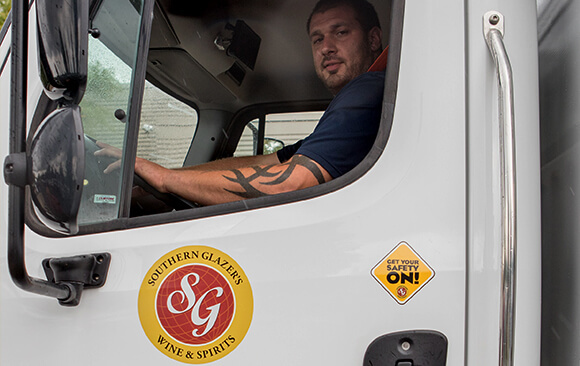 When you embark on a Driver career with Southern Glazer's Wine & Spirits, you'll play an integral role in achieving operational efficiency in order to meet our customers' needs. You'll leverage your skills every day to fuel our success and advance your career. In return for your contribution, we'll provide you with the tools to grow, succeed and accomplish your personal and professional goals. Together, we can deliver the highest quality service to each of our suppliers and customers and put you on the career path you’ve been looking for. 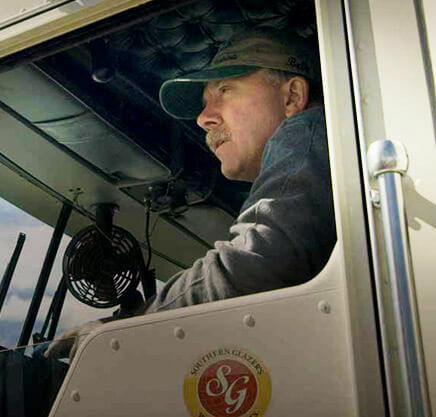 What makes a successful Driver at Southern Glazer’s Wine & Spirits? Check out the traits we’re looking for and see if you have the right mix. So, you’re ready to kick off an exciting and rewarding career as a driver with Southern Glazer’s Wine & Spirits? You might be asking yourself if you fit the bill to work with us, and – lucky for you – we’ve made things a lot simpler for you. We’ve highlighted five traits that all of our drivers share. Take a look and see if this is the right career for you! Discover all the ways Southern Glazer’s Wine & Spirits appreciates your efforts. Southern Glazer’s Wine & Spirits understands happy families equal happy employees. Paychecks are great, but that’s not all you get with a Southern Glazer’s Wine & Spirits career. Importance of life outside of the company is important at Southern Glazer’s Wine & Spirits. Do you desire a career as aCDLDriver? Do you wantcompetitive pay and the most comprehensive benefit package in Albuquerque? Do you have a desire to spend more timewith your family? Our regular shifts are four (4) days a week. ten (10) hour days. Southern Wine & Spirits of New Mexico has a wonderful opportunity for you. We are looking for experienced drivers, with great and safe driving records that can handle our loads. If you have these qualities, are friendly and passionate about taking care of our customers, we want you to join our team. In return we'll offer you a competitive pay with automatic increases every six (6) months for the first two years, and excellent benefits package whichincludes healthcare, dental, vision, disability &life insurance, and a matching 401k plan. Drive established route to deliver wine, spirits, beer and non-alcoholic beverage products to assigned customers. Record route activity and produce accurate and thorough delivery records. Read invoices, shipping memos, pick-up slips and other records to guarantee accuracy, completeness and proper condition of all orders delivered. Operate delivery equipment for which Department of Transportation requires a Commercial Driver License. Read and match customer purchase orders and invoices to company invoice. Deliver cases which may include use of hand truck, ramps, stairs or other function in the movement of cases. Handle and process COD deliveries and collect cash as required. Performs daily pre-trip and safety inspections on equipment prior to commencing route. Partner with dispatcher to acquire delivery schedule and communicate delays, arrivals, and/or equipment problems as encountered. Address customer concerns/complaints regarding spoilage, breakage, and/or shipments of incorrect product. Refer issues to appropriate SWS contacts as needed. Keep interior of truck organized and clean. Must possess a valid, current Class A New Mexicodriver license and acceptable DMV record. Basic ability to read, speak, write and comprehend the English language to perform essential job duties. Able to count and perform basic math with or without a calculator. Lifting and moving objects weighing 50 pounds on a regular basis from floor to shoulder level repetitively throughout shift. Ability to twist and turn, ability to use full range of peripheral vision and fine hand manipulations sufficient to safely drive New Mexico state andcity streets. Must be able to work in extreme temperatures for extended periods of time Occasionally able to lift up to 160 lbs. (full kegs) 3-4 feet onto a shelf. Walk, bend, sit, squat, twist, lift and carry on a continuous basis throughout the shift. Using a hand truck, must be able to push and pull up to 180 lbs. frequently throughout shift. Experience driving for the beverage industry.